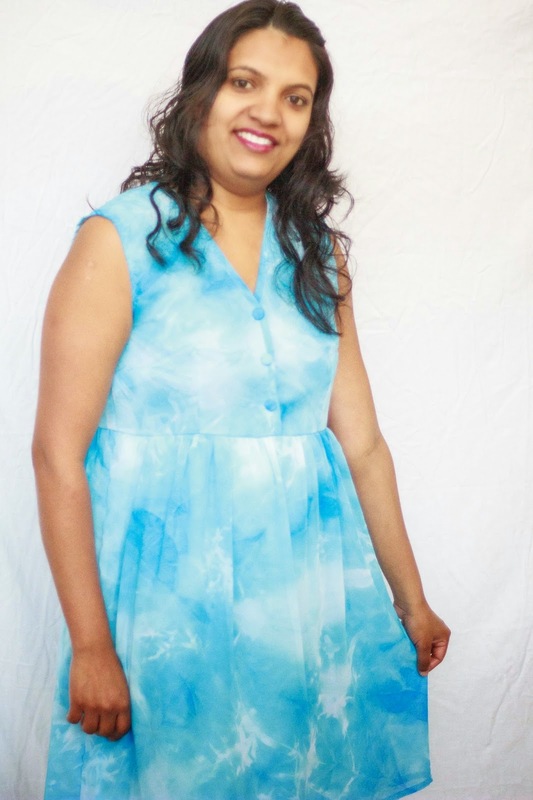 A while ago I made a dress for Mrs A, who had a design idea in mind. There was no specific pattern in the pattern books that I could use so I turned to my pattern draughting books. 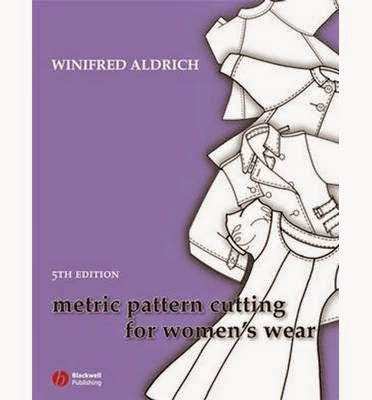 I've used Winifred Aldrich's books quite a few times now to draught patterns. These are the completed pattern pieces: skirt piece, back lower bodice and back yoke, and the front bodice. 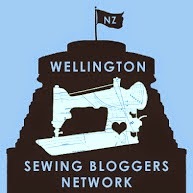 This was actually the second version as the idea changed slightly from the initial design. Once the pattern pieces were done I made a toile out of calico so that I could check the dress for fit. Once that was done I was ready to go ahead. I used the red tailors chalk I bought at Made On Marion since the white/beige I usually use wouldn't show up very well on the pale blue and white fabric. I pinned either side of the chalk line to hold the fabric in place, help reduce the slipping and sliding that can happen with chiffon. I'm still not brave enough to try the hairspray method on a garment I'm making for someone else! All the outer fabric and lining pieces cut out. I used the walking foot when I was sewing the pieces of the dress together. The bodice and lining pieces I basted together and treated as one fabric. The completed dress from the front . . .
. . . and the back. I added a small embroidery detail around the armhole edge. Self-covered buttons, they're just decorative. I used plastic snaps as closures but swapped them for hooks and eyes. A close-up of the binding around the neckline and bodice front. It's so lovely, like a bit of the sky! Thanks, MrsC, it makes me smile and think of sunny days 😉 Especially on a rainy day like today!